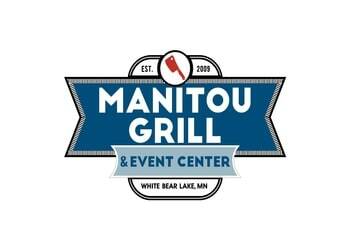 Manitou Grill features local Minnesota beers and a quality whiskey selection. They feature, steaks, chops, seafood, burgers, salads and sandwiches to fill your tummy. The atmosphere is warm and inviting with rich woodwork, leather booths, and a lounge that features a fire place and surrounding area bound to keep you comfortable while you relax on cold days. For those warmer days you will find their large, beautiful patio a great spot to hang out and enjoy the company of friends and family. For Happy Hour Specials click here.